Over the last several years I have been on a mission to lower my dependency on stores and manufactured products. Of course there is little to no way to get completely independent, but I have been making as many strides as I can reasonably make toward that end goal. Having a way to mill grains and make flour for cooking is one such leap I had yet to make, until recently. The criteria for my milling system was fairly straight forward. I wanted something that was NOT electric, but I could attach a motor to it later on if I so desired. Other than that I just wanted it to be sturdy and actually work as advertised. Since our family is not a huge bread consumer, this device would not be expected to produce pounds of flour every week. I figured that a few cups at a time was more than sufficient. Even my big bread recipes only call for a max of 6 cups. My son can grind away for a few minutes to get us that amount. Now that I knew what I wanted (usable, durable, inexpensive, and manual) I went to work on Amazon in search of something that would suffice. There in lies the rub…… I had NO clue what I was buying really. There are hundreds of devices out there in a multitude of configurations and they all claim to be the best thing since mortar and pestle. Getting some rocks and grinding didn’t sound like fun so I just read some reviews, bought something, and crossed my fingers. It had great reviews and I had a coupon to get a solid discount, so I figured I couldn’t get too badly hurt if it turned out to be a bust. Interestingly enough, it seems to work pretty good. 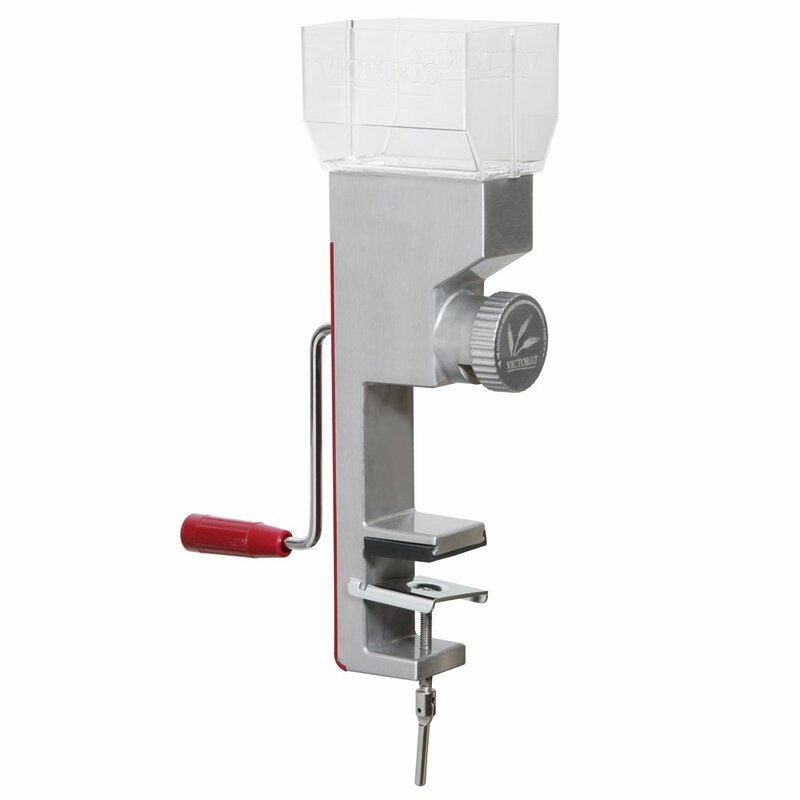 We have only used it 5-6 times, but it works as advertised and I get a good arm workout in the process. The wheat berries we picked up are some sort of hippie stock, GMO deprived, organically sealed and hermaphrodite free or some such crap. The flour tastes okay so I guess I picked well. We have not figured out how many berries it takes to get a cup of flour, but I can tell you that it seems to be a lot. Several refills of the hopper are required to get enough flour for a pizza crust. That is about as scientific as I can get on it, but I have discovered a few things that I would like to pass along to everyone. Cleaning this thing is not for the faint of heart. Holy sheep shears……. The table clamp scratches the crap out of your table so only use it when you wife is gone and you can use thick socks to protect the table. Don’t tell my wife. The flour from this allows dough to raise more than store bought flour. The taste seems to be the same, though. For all the work I wanted it to taste like fluffy gold and it doesn’t. For those that have considered jumping into this purchase for themselves, I would recommend what I got. It works and hasn’t killed me yet. Nothing fancy, just functional. This being said, I would have to say that this isn’t just a prepper tool. Anyone that likes fresh cooking components would be happy with this setup in all honesty. 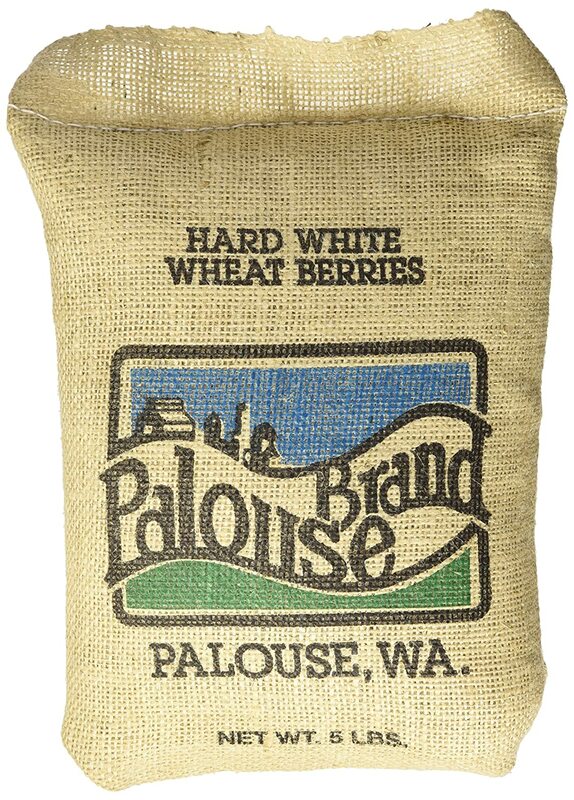 Just the fact that I can store the berries in small, vacuum sealed packages and just make the flour as needed keeps all my ingredients fresh. If nothing else it makes me feel like I am doing something “special” for my family when I bust this guy out. That and it is kinda nostalgicly amusing. Have fun with the arm workout!!!! This entry was posted in DIY Projects, Emergency Preps and tagged emergency food prep, flour mill, grain grinder, grain mill on August 5, 2015 by Woodsbum.